Do you know what Arminian Theology teaches? This video introduces three books that will clarify the debate for Arminians and Calvinists alike. What’s your favorite book in the Arminianism vs. Calvinism debate? Leave a comment and tell us about it. The new episode of the So What? Podcast went live this morning. In this edition we continue the discussion of Pelagius and Pelagianism. It was particularly fun to get clear on the Wesleyan critique of Pelagianism and how it differs from the Reformed (or Calvinistic) critique. There’s also some great Wesley quotes on original sin. Check it out below or subscribe in iTunes. And don’t forget to give us review. Common Grace vs. Prevenient Grace: What’s the Difference? The question was put to me over lunch earlier this week and not for the first time. So I thought it worthwhile to post here a few reflections on the difference between the Reformed doctrine of common grace and the Wesleyan-Arminian doctrine of prevenient grace. 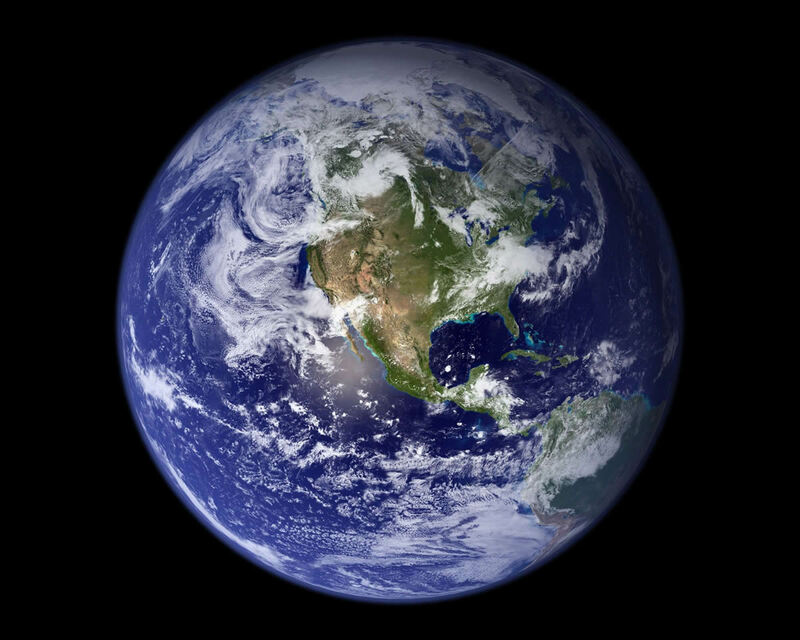 How can we explain the comparatively orderly life in the world, seeing that the whole world lies under the curse of sin? How is it that the earth yields precious fruit in rich abundance and does not simply bring forth thorns and thistles? How can we account for it that sinful man still “retains some knowledge of God, of natural things, and of the difference between good and evil, and shows some regard for virtue and for good outward behavior”?…How can the unregenerate still speak truth, do good to others, and lead outwardly virtuous lives? (Systematic Theology, 4.III.A.1.). So we might say that common grace is that which keeps the effects of sin in check to some degree and makes possible human culture and civilization. It is essential, however, to understand that in Reformed thinking common grace is distinct from special (or particular and saving) grace. Common grace does not save people from condemnation; special grace necessarily effects the salvation of the elect to whom it is given. Berkhof points to several further distinctions between common and special grace Common grace is given indiscriminately to all people; special grace is limited to the number of the elect. Common grace never removes the guilt incurred by sin; special grace always does. Common grace doesn’t renew human nature; special grace changes the inner person. Common grace is resistible; special grace never is. While common grace is not considered saving grace, prevenient grace may very well lead to salvation, though not necessarily so. In Wesleyan-Arminian thinking, prevenient grace is simply the work of God in a person’s life that precedes conversion and prepares that person to freely receive the gospel. In Reformed thinking, common grace is not part of the order of salvation; in Wesleyan-Arminian thinking, it is. At the risk of oversimplifying the order of salvation, prevenient grace leads to justifying grace, which leads to sanctifying grace and then glorifying grace. I’ll hasten to add that since we Arminians see grace as resistible, it follows that prevenient grace need not always lead to justification and final salvation. Prevenient grace is not effectual. It does not effect salvation as the Reformed understand special grace to effect salvation. Rather, prevenient grace prepares the human heart to believe the gospel and be saved, but prevenient grace can be resisted. To summarize, if you can look back and see the work of God drawing you to Christ prior to your conversion, that is prevenient grace. I should add that Wesley and Arminius had somewhat different views of the extent of prevenient grace. Wesley thought prevenient grace extended to all people in some degree in order to mitigate the effects of original sin. If I understand correctly, Arminius thought prevenient grace came specifically through the preaching of the gospel to free the hearts of those who hear to respond freely to the good news. Both saw prevenient grace as part of the order of salvation. Both understood it to be resistible. They differed on the scope and perhaps the means. One more point of clarification is necessary. Prevenient grace is not substantially different from justifying or sanctifying grace. They emphasize different points in the same journey of salvation by grace through faith. The terms have to do with process and chronology; they are not different sorts of grace. I think people tend to confuse common grace and prevenient grace because both have the lost as their object. Otherwise, they have little else in common. They are fundamentally different concepts that address fundamentally different questions. Common grace answers the question of how fallen people can do anything that is not thoroughly wicked. Prevenient grace answers the question of how fallen people can be prepared to respond freely to the gospel. In the end, Reformed theology seems to posit two substantially different forms of grace – one effective to salvation and one not. The problem, as I see it, is that this divorces grace from the work of Christ, which Berkhof acknowledges with regard to common grace. To be fair, he rejects the suggestion that there are two substantially different forms of grace by arguing that common grace is not attribute of God while special grace is. But if this is the case, why create confusion by calling it grace? Arminian theology successfully provides a coherent understanding of God’s grace: there is only one grace, and it leads to and finds its fulfillment in Jesus and union with him. Today is the 504th anniversary of John Calvin’s birth, and, like him or not, Calvin is one of those people whose impact on world history would be difficult to overstate. Like many, I object strongly to his notions of unconditional election and meticulous sovereignty. Nevertheless, I’ve learned a lot from Calvin and the theological tradition that still bears his name. In honor of his birthday, there are a few posts making their way around the web that will give you a little introduction to the life and ministry of the Genevan Reformer. 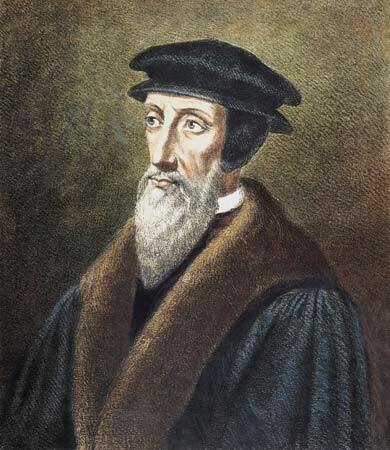 If you are keen to know a little more about why Calvin changed his original plan to remain in Geneva only one night or how many different groups wanted to execute Servetus for heresy, head over to The Gospel Coalition for “9 Things You Should Know about John Calvin” by Joe Carter. For a glimpse at Calvin’s views on worship and the Eucharist, head over to Seedbed for “10 Things You Should Know” by Ben Espinoza. Careful readers will, of course, notice the disagreement on how many and which things we should know about Calvin. But Calvinists and Wesleyans have never agreed on matters relating to the affirmation of points, whether it’s 9, 10, or even 5. Why should we expect anything different now? The thing I’m wondering about is whether anyone will go Spinal Tap and write us a post that takes it all the way up to 11. The Society of Evangelical Arminians (SEA) is an association of evangelical scholars and laymen who adhere to Arminian theology and are united in order to glorify God, edify his people, protect them from error, and foster the proper representation of our magnificent God to the world by lovingly and respectfully (1) promoting and advancing sound, biblical Arminian theology, and (2) refuting Calvinism and diminishing the number of its adherents, through the concerted, strategic effort of Arminians networked through the society for the accomplishment of these goals as well as (3) mutual encouragement, support, and growth in the truth of God’s word. If you agree with the Society’s Statement of Faith and desire to engage issues related to Arminianism and Calvinism with charity and respect, you may also want to join SEA. If so, see the last paragraph on the “About Us” page for information on how to become a member. Soli Deo gloria. The rapid increase of those who identify as “young, restless, and Reformed” is bringing fresh attention to the doctrine of election, which is one of the definitive issues that marks the sides in the ongoing debate between Calvinists and Arminians. The question is not whether there is a doctrine of election in the Bible, but how God goes about choosing a people for himself. Wesleyans and Classical Arminians believe that God’s election is conditioned on his foreknowledge of faith. In contrast, Calvinists and others in the Reformed tradition insist that divine election for salvation is unconditional. From the Calvinist perspective, God’s choice with regard to which individuals will be saved is made without reference to their faith or anything they do. From this perspective, those who are not chosen are passed over and remain in their condemned state with no hope of salvation. The technical term for this unfortunate group is “reprobate”. We must ask, however, whether these the only ways to think about election? And does this way of framing the debate make the best sense of the relevant passages in scripture? We will see that how we approach these questions will inform the way we understand what God has chosen us to do. So, let’s begin with a quick look at election in some key biblical texts. Then we’ll reflect on how our findings impact the church’s mission to the nations. Read the rest of the post at Seedbed.com to discover why the doctrine of election is all about how the reprobate come to experience the blessing of God’s salvation. 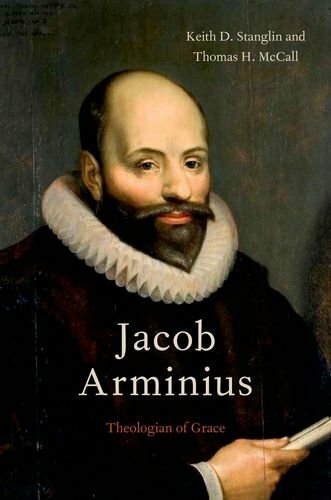 I’m grateful for presently increasing interest in Arminius and the theology that carries his name. As regular readers of Incarnatio will know, I take the Arminian understanding of salvation to be an accurate expression of what we find in scripture. Many who criticize Arminius are stunningly unfamiliar with what he actually said, and many who call themselves Arminian misrepresent him and would be shocked to discover some of the things Arminius believed and taught. So, take a look at these videos. You can watch them below or click through to the FAS Vimeo page. For a variety of other great resources, check out The Society of Evangelical Arminians.